Ylang ylang extra is a pale yellow, oily liquid with an intensely sweet, soft, floral-balsamic, slightly spicy scent with a creamy rich top note. See more info. Blends with: Bergamot, jasmine, lavender, lemon, neroli, rose, palmarosa, sandalwood and vetiver. 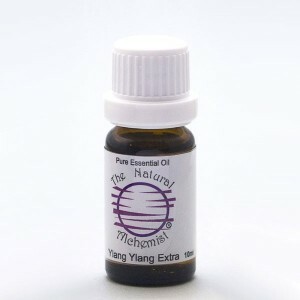 Used in: Skin care, hair care products, Ylang Ylang–adds fragrance and fixative in soaps, cosmetics, perfumes, Ylang Ylang Extra tends to be used in high class perfumes. Safety Data: non-toxic, non-irritant, a few cases of sensitization reported, use in moderation, since its heady scent can cause headaches or nausea. External use only, do not swallow.